Viviene Cree is Professor of Social Work Studies at the University of Edinburgh. 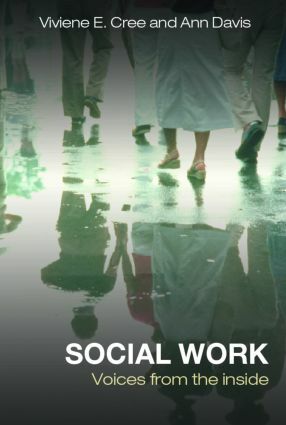 Dr Cree's research expertise is in the core discipline of social work, with particular experience in the development of the social work profession, historically and in the present day. She has carried out a range of research projects on social work history, social work education, and children's services. Ann Davis is Deputy Dean of the Faculty of Arts and Social Science at the University of Birmingham and Chair of the Institute of Applied Social Studies' mental health research programme. Professor Davis' research interests include user experiences of social work and mental health services, poverty and social exclusion, and community care.